Quick question: does anyone still SMS nowadays? What with chat apps like WhatsApp and LINE taking over the messaging space — a survey by research firm GlobalWebIndex saw WhatsApp taking the crown for mobile messaging in Singapore — it’s rare for anyone to SMS unless you’ve used up your mobile data and can’t get WiFi. 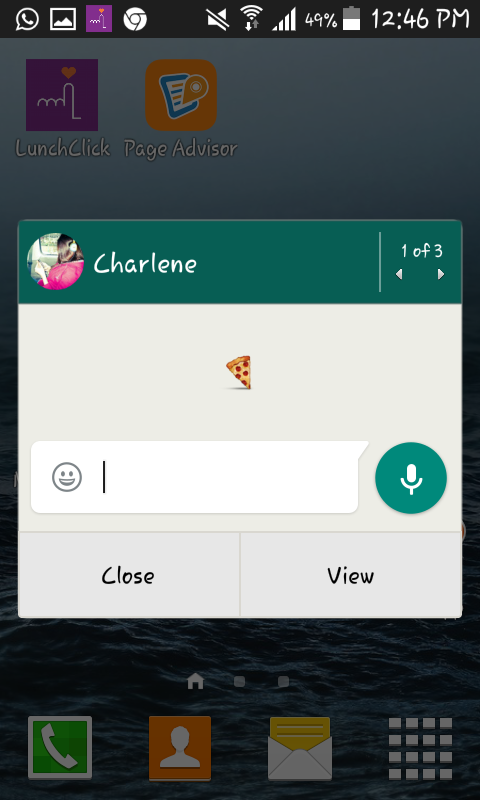 Since WhatsApp remains the reigning messaging platform at the moment, we’ve come up with some ways for you to use it like a ninja — which is to say speedier, stealthier and more efficiently. 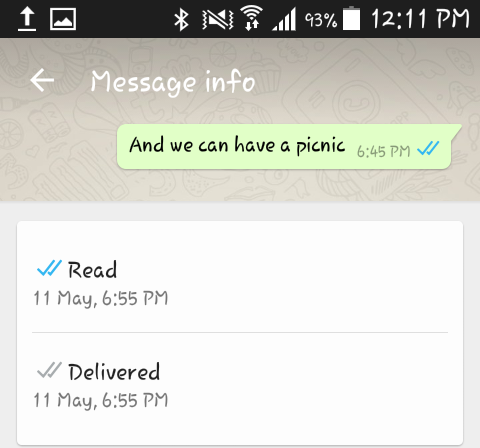 WhatsApp’s infamous double blue ticks — the check marks next to a sent message that indicate that it’s been read by your recipient — were launched in November last year. If popular reaction to the feature is to be believed, the anxiety caused by people seeing their read messages blatantly go unanswered has resulted in breakups, fights, and general devastation to all relationships. 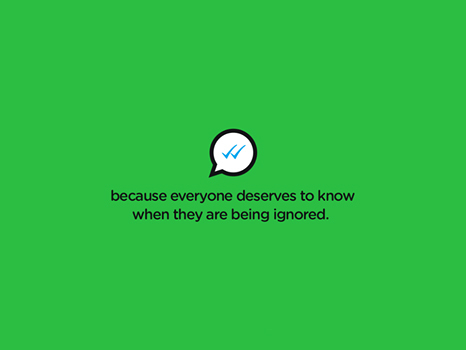 If you haven’t figured out how to disable the blue ticks yet, the latest version of WhatsApp makes it highly simple. 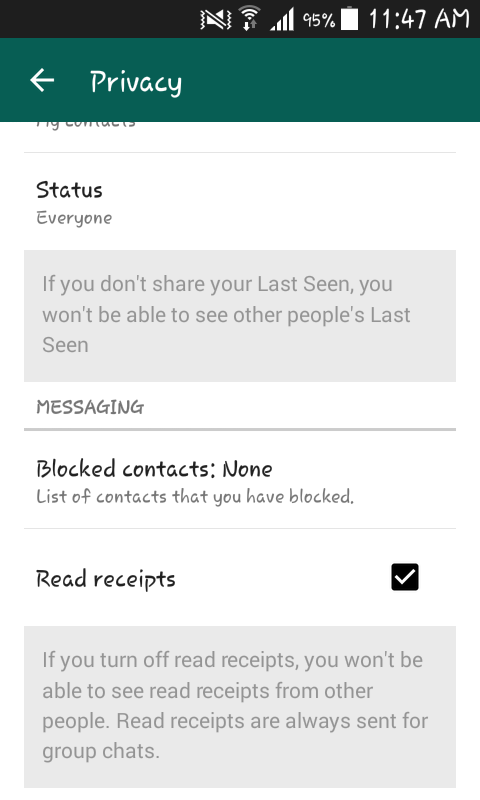 All you need to do is go to Settings > Account > Privacy > Read receipts, and uncheck the little box. Most Android users would know that this disable feature was unofficially rolled out last year, but iOS users might not know that they can now enjoy this perk as well. There’s just one thing to take note: the “do to others as you would have them do to you” principle applies, so you won’t be able to see if others have read your messages as well. On the other end of the privacy spectrum, you might want to know the exact time — down to the minute — that your very important message was read. In that case, all you need to do is long-press a specific message and click on the Info button that appears at the top. Again, a caveat: this feature will only work if you and your recipient haven’t disabled the Read Receipts function. And unless you’re investigating an alibi, it’s probably for the best if you can’t obsess over why your friend hasn’t replied in precisely eleven minutes. 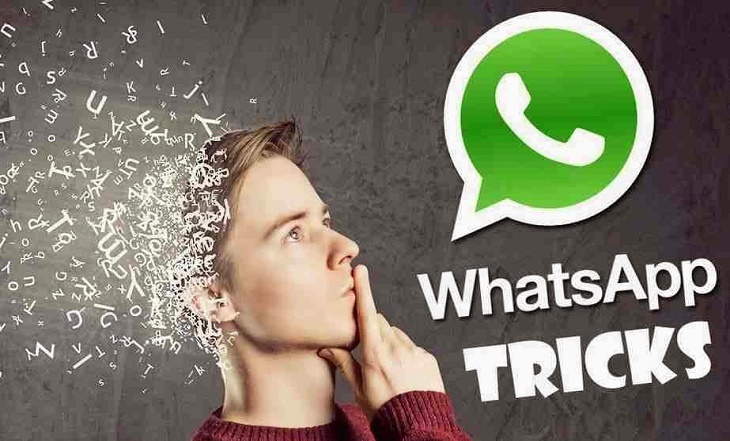 If you ever need to conceal your identity while chatting on WhatsApp — which sounds rather dubious, but we’re not judging — this trick by web designer Michael John can allow you to bypass WhatsApp’s SMS verification by using a fake number. How? If you already have WhatsApp, you’ll need to uninstall it — be sure to backup the chats and files you want to keep on your phone. After you install the app again, you’ll be prompted to verify your phone number via a test SMS to your mobile. You’ll need to go to receivefreesms.com, a site that offers disposable phone numbers for free SMS verification, to select any number that takes your fancy. 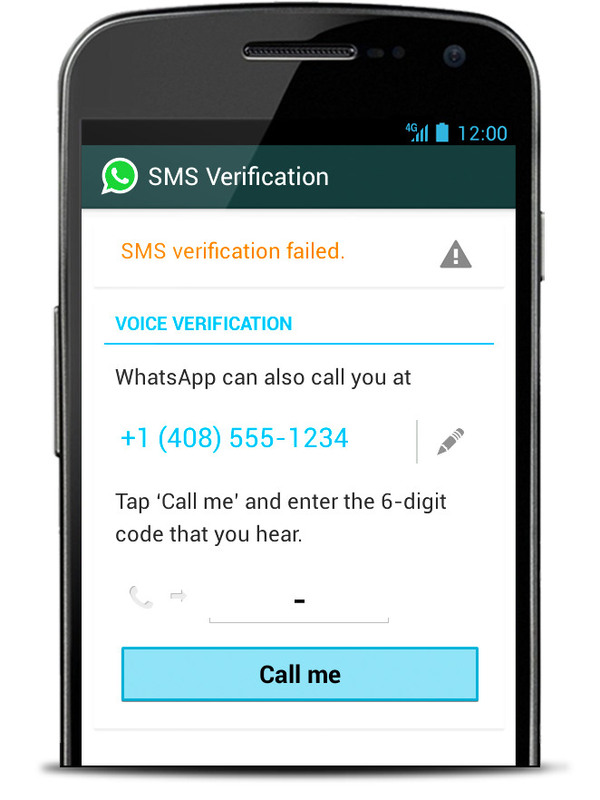 Now here’s where it might get slightly complicated: after entering the number into WhatsApp’s SMS verification page, you have to retrieve the verification code sent by WhatsApp from the corresponding link to your chosen number on receivefreesms.com. Once you’ve gotten the verification code, all you need to do is enter it in WhatsApp — and you’re done! 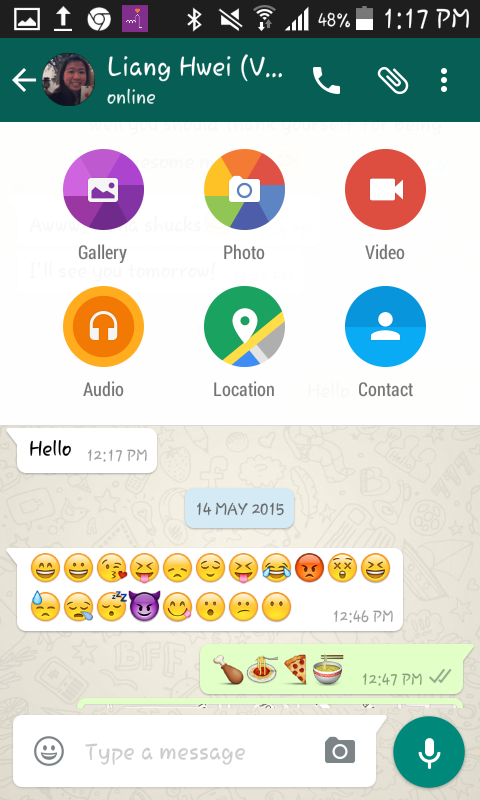 You can now WhatsApp to your heart’s content without your recipients ever figuring out your identity. Replying to messages is already pretty convenient if your phone has a notification bar, but here’s a feature that lets you reply to messages without opening the chat on WhatsApp, or even unlocking your screen. 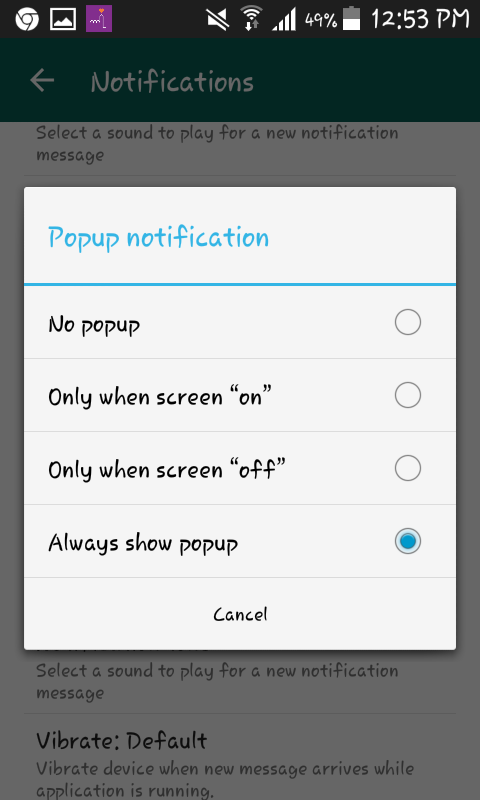 You can activate it by going to Settings > Notifications >Popup notification, and selecting the ‘Always show popup’ option. Once you’ve done that, you’ll be able to reply directly to messages that come in via the popup, and even swipe between different chats — which is hugely convenient when you’d rather not close another app just to open WhatsApp. The only thing that might slow down your rapid-fire conversations now is if you want to send a whole string of emojis — while the emoji keyboard stays on-screen normally, it disappears after you enter one emoji in the popup chat. 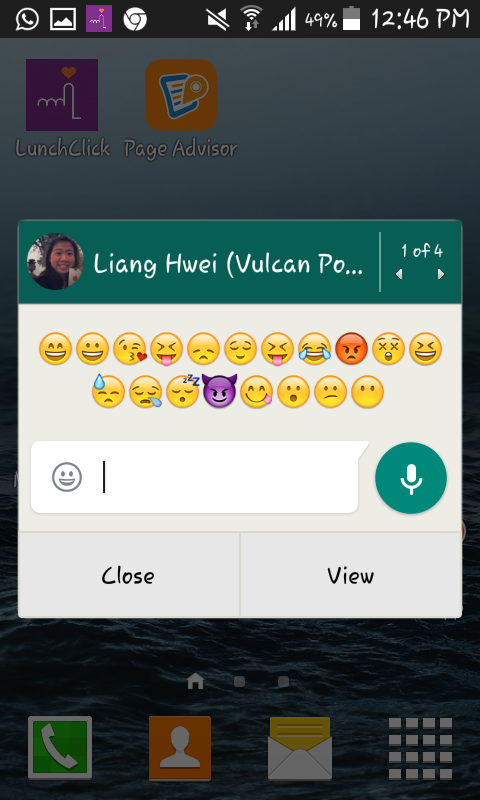 So if you want to spam your recipient with emojis, you’ll have to do it the old-fashioned way. Let’s say you’re lost and want to get directions to someplace from your friend. 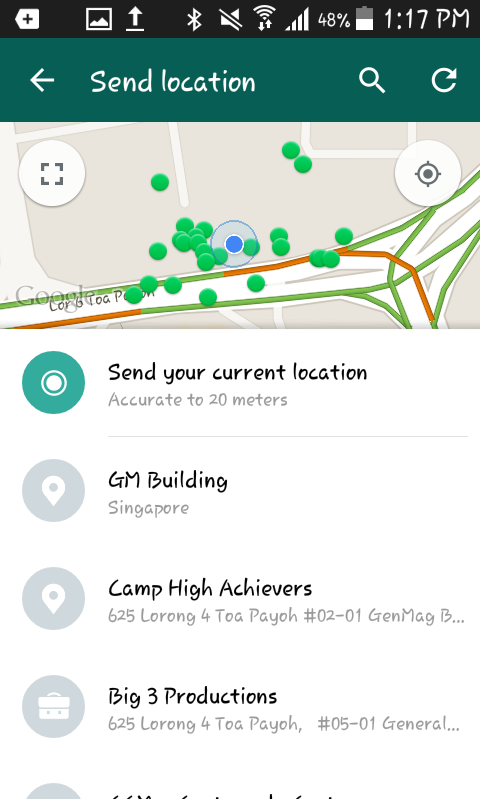 Instead of painstakingly describing your surroundings, WhatsApp’s handy but underused Location feature can pinpoint your location via Google or Apple Maps, and send it over instantly. …and GPS will do the rest. 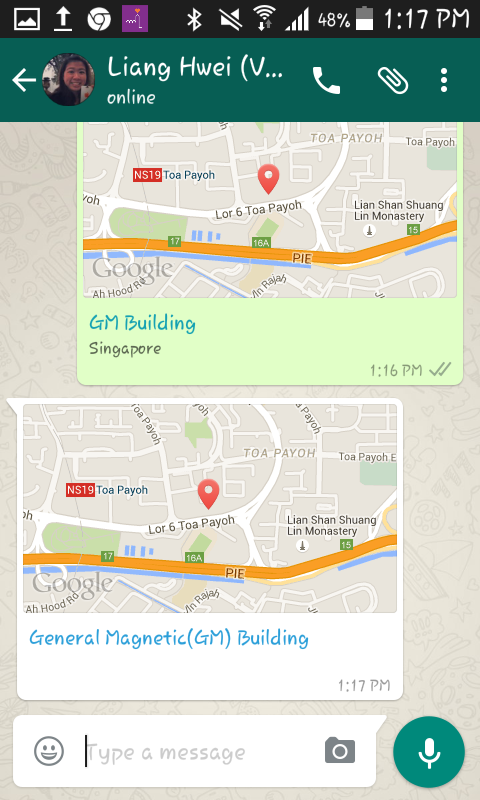 It’s also helpful if your friend is late for a meetup, and being deliberately vague about his location (“Where’re you?” “I’m on the way, I swear!”) In that case, just demand that he send you his location via WhatsApp. It might save you a whole lot of frustration. Say you’ve got a midnight birthday wish to send, or a set of instructions that can only go out at a certain time. If you know you might be busy at that time (or worse, that you might forget all about it), there’s an external app that can help you out by scheduling your messages…at least for Android users. 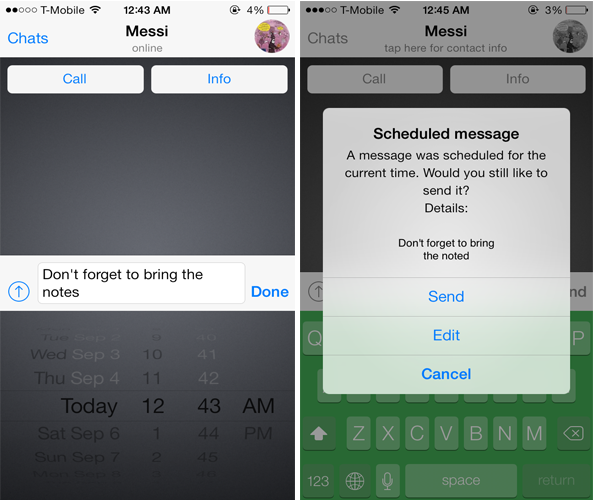 Seebye Scheduler is the go-to app for scheduling your messages on WhatsApp and Viber. The app is available on Google Play, but iOS users will have to make do with an APK file version. And according to the Android app description, Seebye Scheduler can only work on Android devices that’ve been rooted — the equivalent of iPhone jailbreaking — so do take a moment for caution before you plunge in. WhatsApp is great for sending images, but can’t handle bigger files like PDF, ZIP or EXE. To bump up your filesharing powers, all you need to do is download two free apps: CloudSend and Dropbox. CloudSend doesn’t seem to be available for iOS — which is really just one more reason to join Team Android, since it allows easy sharing of unlimited file sizes across not only WhatsApp, but SMS, WeChat, Google+ and practically any other app on your mobile. Have you ever opened an innocuous-looking thumbnail image on WhatsApp, only to scream when some terrifying image pops out at you? 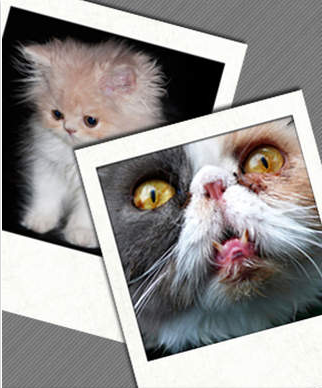 If you’d like to get revenge (or just scare some poor, unsuspecting friend), there’re a few apps that can do this two-image-in-one trick — FhumbApp for iOS users, and Z- Photo Fake for Chats for Android. We Singaporeans love a bargain, and what’s more important than ensuring we get to communicate with our friends and family free-of-charge? Other than WhatsApp users lucky enough to have a lifetime subscription — which was only for iPhone users who signed up before July 2013 — you’ll likely have received expiry notifications at one point or another. 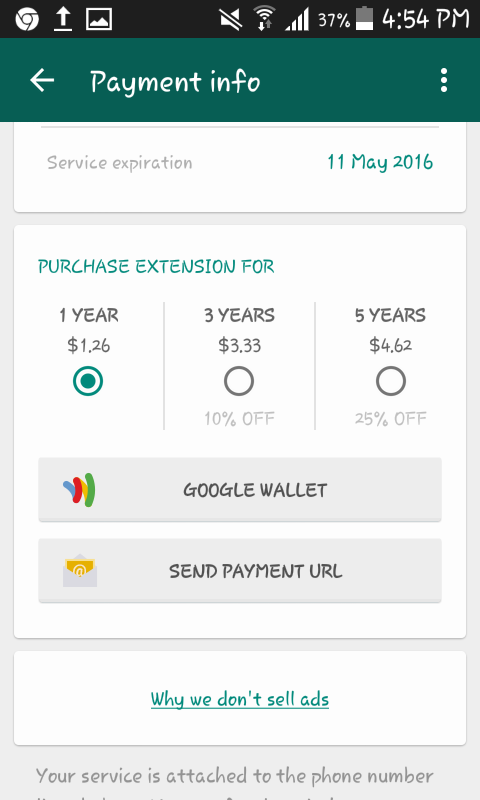 Strangely enough, you’d be hard-pressed to find anyone who’s actually paid to renew WhatsApp even after the one-year free trial. While there’re a whole bunch of tricks out there to secure extensions of your trial period, anecdotal evidence suggests that the best method is also the simplest — just wait. From personal experience, WhatsApp seems to automatically renew its service for free within five days of the expiry date — it’s done so for me at least three times now. So this isn’t a trick so much as a reminder — just sit back, relax, and let WhatsApp’s generous auto-renewal kick in.